One of the great Norman buildings of England, Romsey Abbey is a beautiful 12th-century church, all that remains of a late Saxon nunnery. The nunnery was founded in the early 10th century by Edward the Elder, son of Alfred the Great. The interior of the abbey is replete with historic features. Let's take a quick tour around the building. The most obvious and striking feature as you enter the abbey is the fabulous nave with Romanesque clerestory rising three storeys high. 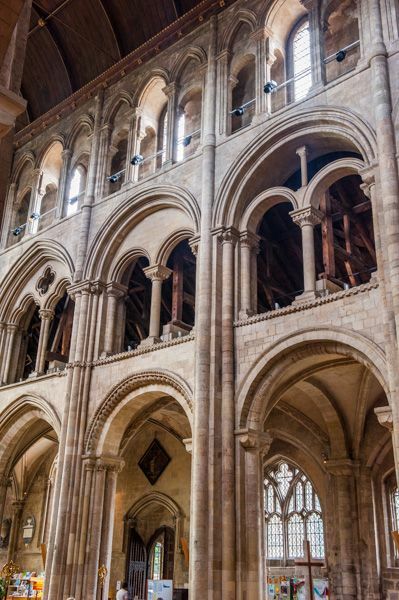 The Norman arches with their decorated column capitals are simply exquisite, a wonderful example of Romanesque style. 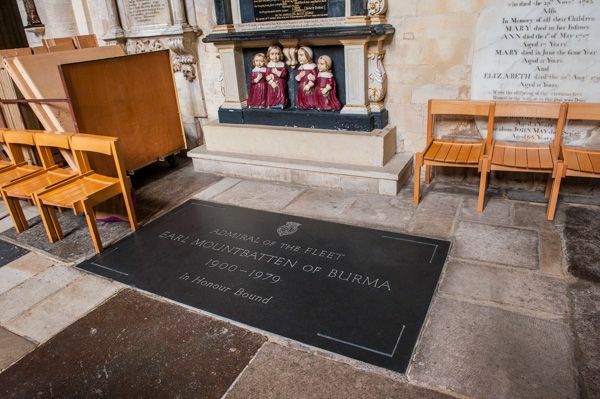 To the south of the crossing is the Chapel of St Nicholas, where you will find a simple black floor slab in memory of Earl Mountbatten of Burma. 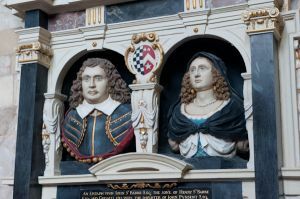 Above the Mountbatten tomb is a quite marvellous Elizabethan monument to the St Barbe family, and against the south wall is an effigy of an unnamed 13th-century woman made of Purbeck marble. 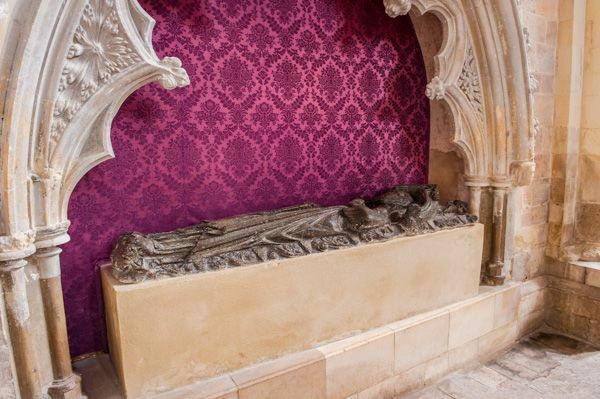 Just south-east of the chapel is the Threadgold Treasury, where several of the abbey treasures are on display. Among these is the so-called Romsey Rose, and the deed of sale, signed by Henry VIII, granting the abbey church to the townspeople of Romsey. 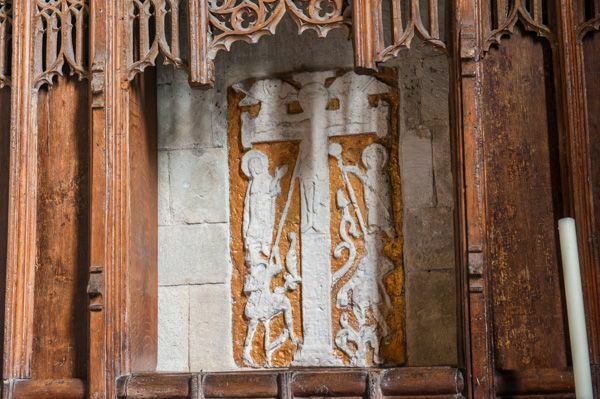 At the east end of the south aisle is St Anne's Chapel, where you will see a lovely Saxon rood behind the altar. This exquisite carving dates to about AD 960 and may have been a gift from King Edgar, who placed his daughter Ethelflaeda here around the same time. 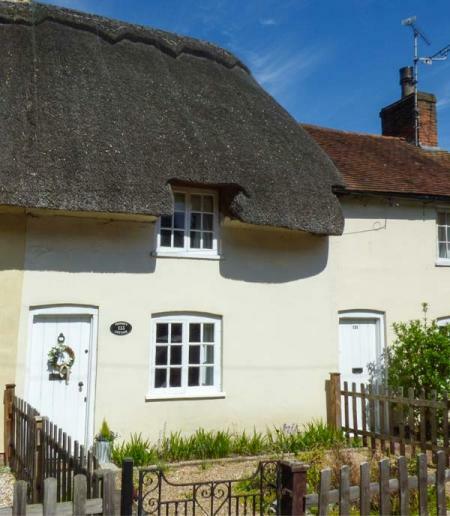 Ethelflaeda was born near Romsey and served as abbess from about 990. Near St Anne's Chapel is St Ethelflaeda's Chapel. 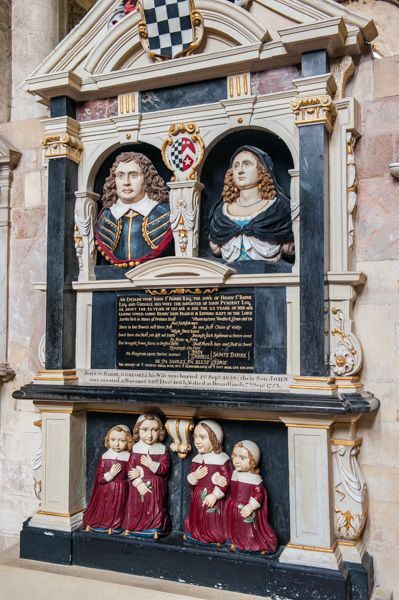 Though there is no indication that the abbess is buried here, on the floor by the altar is a grave slab to a later abbess. Beside this chapel is another to St Mary. On the south side of St Mary's chapel is a 12th-century wall painting. The Romsey Rose - a flower, probably medieval - was found behind this wall painting. At the north-east corner of the church is St George's chapel, with 14th-century tiles on the floor. Against the north wall is The Romsey Cope, a ceremonial robe made from green Italian velvet with silver gilt thread. In the choir is the Broadlands Pew, used by members of the Mountbatten family. 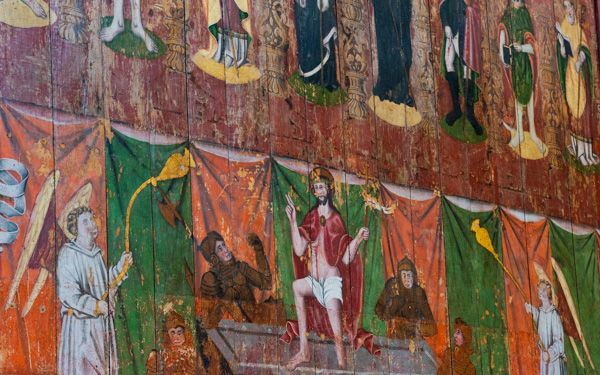 To the north of the crossing is St Lawrence's Chapel, with a magnificent Italian painted reredos dating to 1525. At the west end of the church is a display of Saxon finds discovered around the church. Perhaps the most interesting and historically significant feature of Romsey Abbey is not inside the church at all but affixed to an exterior wall outside the south transept. 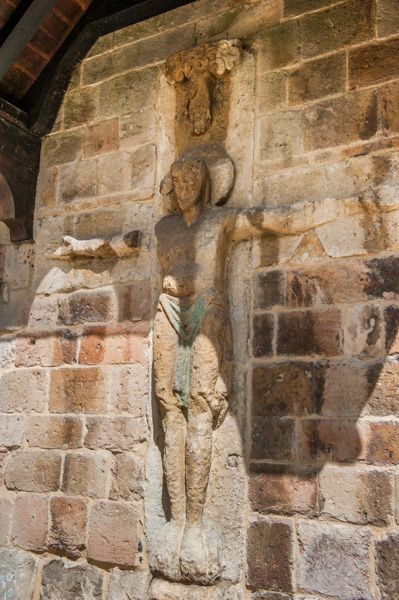 Here you will find a large 11th-century rood, or cross, showing a Crucifixion scene with a Hand of God descending from the clouds to receive Jesus. Saxon roods are rare enough in England, but here at Romsey there are two. Interesting historic features abound at Romsey; the Norman capitals are wonderfully carved, and there are coffin lids of several medieval abbesses. One of these coffin lids shows an arm emerging from the grave, still holding her wand of office. If you are visiting the Abbey don't miss King John's House, opposite the abbey on Church Street. 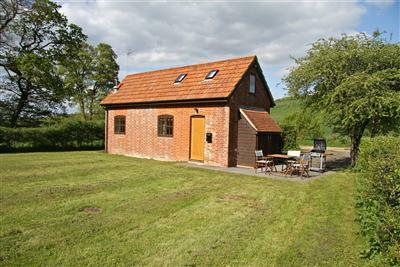 This is an attractive 13th-century house that was once thought to be a royal hunting lodge.